How will you be celebrating New Year’s Eve this year? We’ll be spending it at home with friends and family. 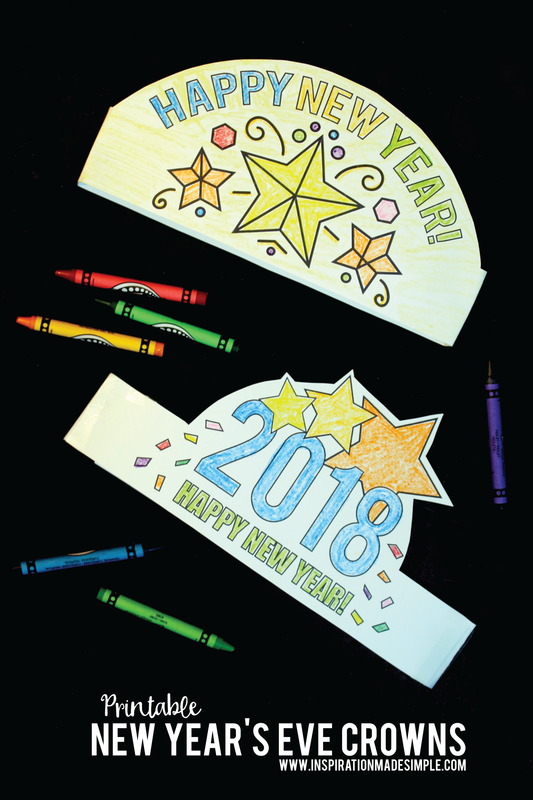 Kids will also be included, so I thought it would be fun to create a printable New Year’s Eve crown that they can decorate with crayons, markers or colored pencils. Something simple that they can do on their own. 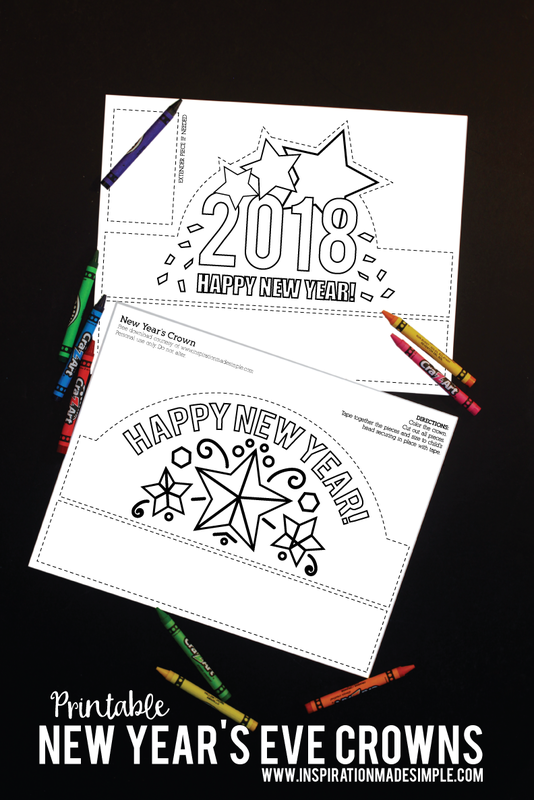 I created two versions – one that simply states Happy New Year! and a second that has the new year: 2018 on it. I will print enough crowns for each child to have their own, and maybe a few extra for the adults that like to color too. I figure I’ll set them up at a table with some crayons and the children can color them whenever they feel like it. I also plan on setting up a chocolate fountain, so it should be a fun night of chocolate, cards and a few adult beverages. We’ll have the TV tuned to one of the New Year’s specials and we even may pull out my daughters new karaoke machine. Simple, clean fun where we can all stay safe inside and off the roads. I think everyone will actually be spending the night as well, so it should be a fun time. 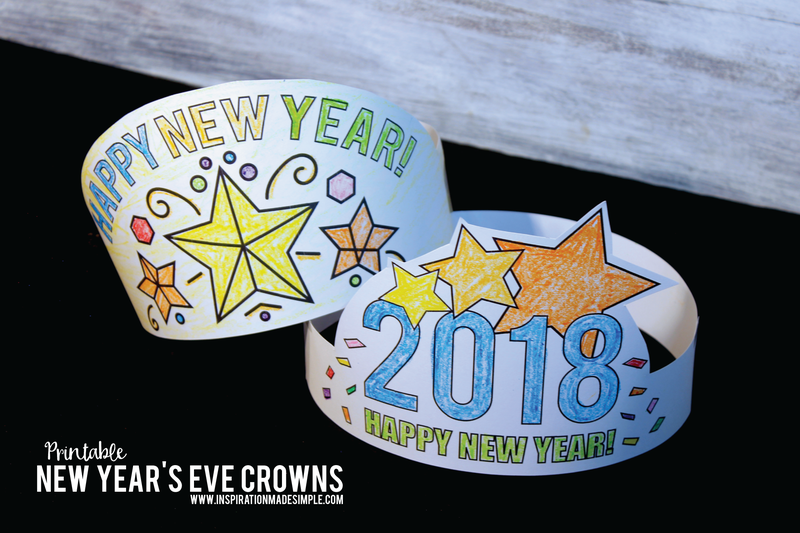 If your plans are anything like mine, then go ahead and download the Printable New Year’s Eve crown using the link below. You’ll want to save it to your desktop and open it in Adobe Reader. Print onto cardstock and it’s ready to be colored! So what are your New Year’s Eve plans? Will you be staying in? With kids or without? Looking for other fun stay-at-home New Year’s Eve ideas? Do you have a 2019 version of these? I love them! Thank you for the reminder! Check back this week.